ISMC Winnipeg experienced tremendous outreach opportunities over the past year. Our programs, including ESL workshops, furniture and household donations, airport pickup, and the hospitality ministry, reached students from many nationalities and backgrounds. 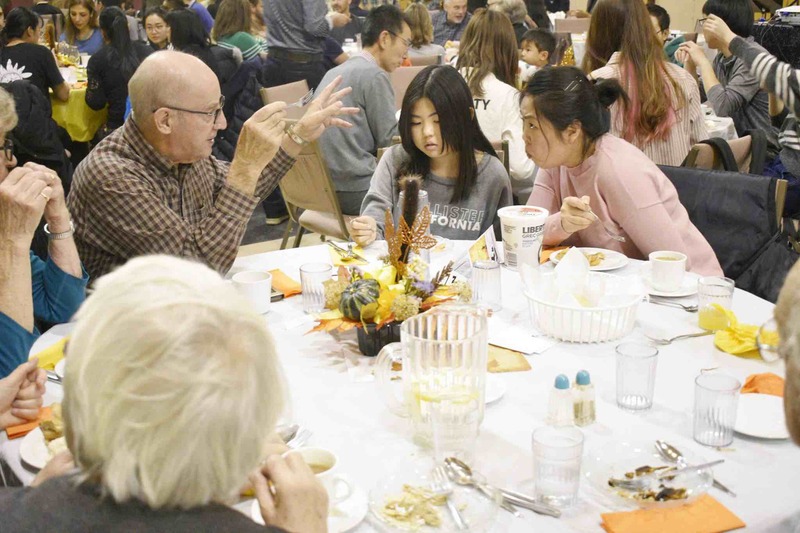 During Easter this year, we launched our first Friends for Dinner, a great friendship and hospitality program that connects international students to Christian families for dinner at Christmas, Easter, and Thanksgiving. This Easter we connected 18 students from Iran, Brazil, China, and Africa to six Canadian families. Among these students, eight were invited to their host families’ church, and continue to attend Sunday service and weekly fellowships. I am so grateful for this opportunity to connect with a Canadian family that accepts me and opens their home! I became friends with their son who attends my university. He invited me to join the Bible study class on campus. I look for- ward to making new friends and exploring faith with other students. Another outreach ministry we initiated was airport pick up. In August, 15 students received warm welcomes from our amazing volunteers. We are grateful for a solid and growing volunteer team that loves international students and willingly serves in various capacities. Equipping our volunteers is an important key for effective ministry work. We recently embarked with our local team on a one-day Meaningful Evangelism seminar by OMF Canada’s Andy Smith. Learning about different methods of evangelism in the 21st century was beneficial to our volunteers because they meet students at our weekly FOCUS Club gatherings. We anticipate further equipping our volunteers with evangelism strategies in a cross-cultural context.